Congressional Democrats are eager to haul the heads of EPA and the Interior and Energy departments — along with other Trump Cabinet officials — before their committees in 2019 to grill them on their policies and tactics during the administration's first two years. Democrats argue the Republican leadership in both chambers of Congress has allowed the executive branch to go virtually unchecked since President Trump took office, and they're eager to seize committee gavels, subpoena power and control over hearing schedules and floor votes. "The big word for us is 'accountability.' That is, making the president accountable, but also doing something else: making the Republicans in our Congress accountable too because we have a responsibility to hold the executive branch accountable. But we are not doing our jobs," said Maryland Rep. Elijah Cummings, the top Democrat on the House Oversight and Government Reform Committee, who's poised to be the panel's next chairman if Democrats clinch the majority. Democrats are growing increasingly confident they'll retake the House for the first time since 2010, and they're drafting their wish lists for oversight hearings surrounding the administration's environment and energy policies and rule rollbacks. Their priorities range from holding hearings on climate rule rollbacks and investigating ex-EPA boss Scott Pruitt's ethics allegations to forcing the Interior Department to comply with languishing requests for documents. "There's such a backup, because [Republicans have] done zilch, I think there's going to be a flood of oversight and investigative demands," said Rep. Gerry Connolly (D-Va.), the ranking member of the House Oversight Subcommittee on Government Operations. "Our challenge is going to be to prioritize. We can't do everything at once and all things are not equal." House Minority Leader Nancy Pelosi (D-Calif.), who made climate change a top priority during her last stint as speaker, urged her caucus to "be ready for the prospect that we will be in the majority in January" in a letter this week. 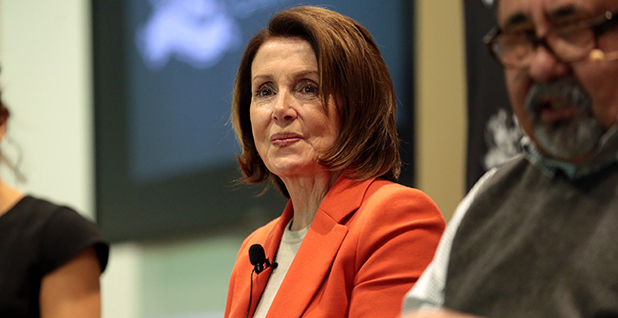 "You will see us use every arrow in our quiver to find the truth about what's happening in public policy, what they're doing to the environment," Pelosi told NPR this week. "We see this as a culture of corruption, cronyism and incompetence." When Republicans last wrested control of the House in 2010, the incoming Republican chairman of the Energy and Commerce Committee, Fred Upton of Michigan, was quoted saying President Obama's EPA chief, Lisa Jackson, would need a parking spot outside the Rayburn House Office Building because she'd be testifying so frequently. Democrats have similar plans if the tables are turned next year. Top EPA officials "can expect to be in front of the committee and subcommittee quite a lot," said Illinois Rep. Bobby Rush, a top Democrat on the Energy and Commerce Committee. "I would just suggest that they maybe find an office to sleep in." I would just suggest that they maybe find an office to sleep in. Rep. Bobby Rush (D-Ill.) on plans to scrutinize administration officials if Democrats take over the House. Rush said Republicans have been doing "an awful job" overseeing the Trump administration and that Democrats would "want to be very aggressive, and we will certainly use subpoena power if we have to." Still, he added, "I don't want to count the chickens before they hatch. I just want to win and then we'll see." Connolly said Wheeler, the acting EPA administrator, can expect to be in the House "quite a bit. So much so, I don't think he'll have time to roll back any more regulations." House Democrats haven't forgotten about Wheeler's predecessor, Scott Pruitt, either. Some of them aren't happy with the administration's handling of their requests for information surrounding Pruitt's alleged ethics lapses, and they'll have more investigative power if they're running the chamber. "We're going to have to look at what Pruitt did, the many things he did, from the standpoint of, 'How did it happen?'" said Cummings, who added he hasn't yet decided whether he'll want Pruitt to testify. "I can tell you I personally am concerned about where EPA has gone under Pruitt, under this president, and I think it's one of the most important things that we can look at with regard to policies," he said. The fact that Pruitt left, Connolly said, "doesn't somehow vitiate his actions, his expenditures, his ethically questionable decisions, because if we let that go, well that's a precedent for future administrators or Cabinet secretaries and that's not acceptable." Top Democrats on the House Natural Resources Committee want vigorous oversight of Zinke's work at Interior. Rep. Raúl Grijalva (D-Ariz.), the ranking member of the Natural Resources Committee who's first in line for the gavel if the House flips, said he's concerned about the accountability and transparency of that agency as well as the Forest Service at Agriculture Department. "I have a litany of perhaps 50 to 60 requests that have gone to the secretary or department heads, but there's no response," he said. "We want to do it the easy way, but if that's not possible, then we'll have to probably do it the hard way." Grijalva and others cautioned that they're not measuring the drapes just yet. "I don't want to jinx it. It's arrogant to say, 'These are our plans specifically,' but of course, you plan," he said. "We shouldn't have a learning curve, or an adjustment curve or organizational slowdown." California Rep. Jared Huffman, the panel's vice ranking member, said he wants to "ask hard questions about how our public lands and natural resources are being managed." He said there are "some huge, huge issues that have to be delved into," including alleged financial conflicts of interest between department officials and industry stakeholders. Grijalva and Huffman said their approach will depend in part on Zinke's willingness to cooperate. "I hope the needed transparency and oversight takes place cooperatively, but look, when you have the gavel and the subpoena power and things like that, that's just very important," Huffman said. "I think it needs to be used responsibly, but this administration is so riddled with controversy and corruption. I think the challenge is, where do you start?" Grijalva said that if Zinke "persists in the notion that he doesn't have to share information, that he doesn't have to report, then that oversight, legal and investigative arm of this new majority of that committee will be very, very active." Several Democrats listed climate change as their No. 1 environmental priority next year if they're leading the House. Rep. Frank Pallone (D-N.J.), the ranking member on the Energy and Commerce Committee, said a top goal of his will be "to try and do what we can to address climate change." He specifically pointed to the Trump administration's moves to roll back Obama-era rules for cars and power plants. "We're constantly trying to prevent the EPA from tearing down all these environmental protections, so the idea would be to simply go into full throttle and use our position in the majority to try to bring some of those protections back and prevent them from doing even worse things," Pallone said. Connolly has two climate change hearings in mind. One is on the consequences of Trump's reversal of President Obama's climate change rules for power plants. "I think we highlight that and call the administration in front of the committee to account for itself," he said. The second would be about exploring ways to re-enter the Paris climate accord, he said. "Do we really want to be the only country in the world not a party?" 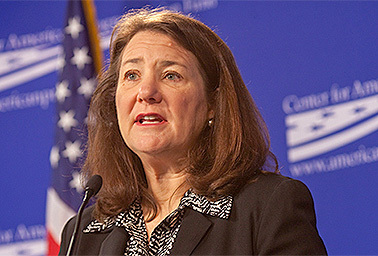 Rep. Diana DeGette (D-Colo.), ranking member of the Energy and Commerce Subcommittee on Oversight and Investigations, also listed climate change as her main oversight priority. "We've got to figure out what's been going on with climate change," she said. "We've got to figure out what the plans have been, what the science has found, we've got to do a full investigation." And Oregon Rep. Suzanne Bonamici, the top Democrat on the Science, Space and Technology Subcommittee on the Environment, wants to look at everything from the Paris deal to ocean acidification to harmful algal blooms. "But of course our caucus will be speaking and speaking with our colleagues on both sides of the aisle, the Climate Solutions Caucus, and see if we can get some of these important bills passed and get the research and the work out there and revitalize the renewable energy sector. There's a lot," she said. Some Democrats have even pushed for a reboot of the House Select Committee on Energy Independence and Global Warming that was led by then-Rep. Ed Markey (D-Mass.) but was axed when the Republicans won control of the House eight years ago (Climatewire, April 2). Retiring Rep. Joe Barton (R-Texas) says that's a nonstarter. "No, that dog won't hunt," he said. "If they couldn't make it go under Pelosi and Ed Markey, they are not going to be able to make it go this time. The fervor for that has dissipated." Democrats are hoping to look beyond climate policies, too. "The list is endless," Pallone said, adding that under Republican rule, "there's barely any oversight of the EPA frankly." Rep. Paul Tonko (D-N.Y.), the ranking member on the Energy and Commerce Subcommittee on Environment, ticked off a number of issues he'll prioritize. Among them: air and water protections, drinking water infrastructure investments, implementation of the Toxic Substances Control Act, and beefing up EPA staff so "that we implement not only the letter of the law, but the spirit of the law." Reporters Kellie Lunney, Corbin Hiar, George Cahlink and Maxine Joselow contributed.